In some way, the heart of each person is heavy or broken because of tragedy, injustice and/or violence to oneself or family members or friends. We are all subject to decay and death whether we are righteous or unrighteous. No person on earth has suffered more—and deserved suffering less—than Jesus Christ. As we consider why bad things happen to good people, we must consider the suffering of Jesus Christ. The night before His crucifixion, He told His disciples in the Upper Room, “In this world, you have tribulation, but take courage; I have overcome the world.” (John 16:33) Except for John (and Judas the betrayer), each disciple died a martyr’s death. In this world of sin, decay and death, no one is immune from suffering, not even the Lord of the universe who stepped into this world to overcome it. Overcoming suffering involved submitting Himself to suffering and gaining victory over it so that we might do the same. 1. He remembered Who He was. Jesus never abandoned His eternal relationship with His Father in Heaven. If we place our trust in Jesus Christ, we also have a relationship with the Father God who has known us throughout eternity and made us joint heirs with Christ, a chosen generation and royal priesthood. 2. He recognized His vulnerability to suffering. None of us is immune to suffering. Becoming a Christian does not change our vulnerability to suffering. 5. He prayed for Himself. Jesus didn’t want to suffer any more than we do. He was honest before His heavenly Father and prayed for a way out, yet always submitted Himself to God the Father. Unlike Jesus, God may deliver us from our suffering, but if He doesn’t, we can know that He has a higher purpose. 6. He prayed for others affected through His suffering. 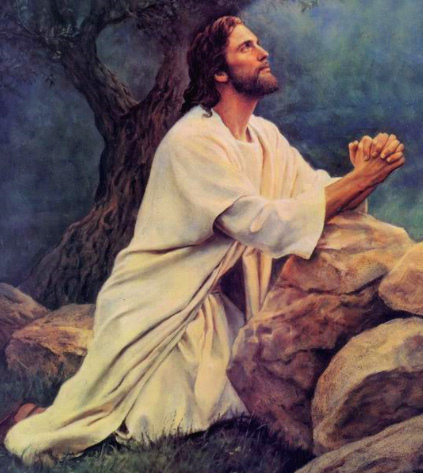 Before His crucifixion, He prayed for His disciples and all of us. Later, he prayed for those who crucified Him. We should also pray for those we love, who love us and also those who hate us. 7. He expected and received vindication through His suffering. Jesus never saw Himself as victim but as victor. Even suffering can bring victory for us (see Romans 8:28). 8. His suffering enables Him to feel our pain and to redeem us. In a similar way, our suffering bonds us with other suffering people to give them saving hope. In these ways, Jesus overcame the world. In our suffering, may we trust the One who suffers with us. May all who suffer come to know Him and His victory in suffering. May each of us become a testimony to others through what He does in our own tribulations.